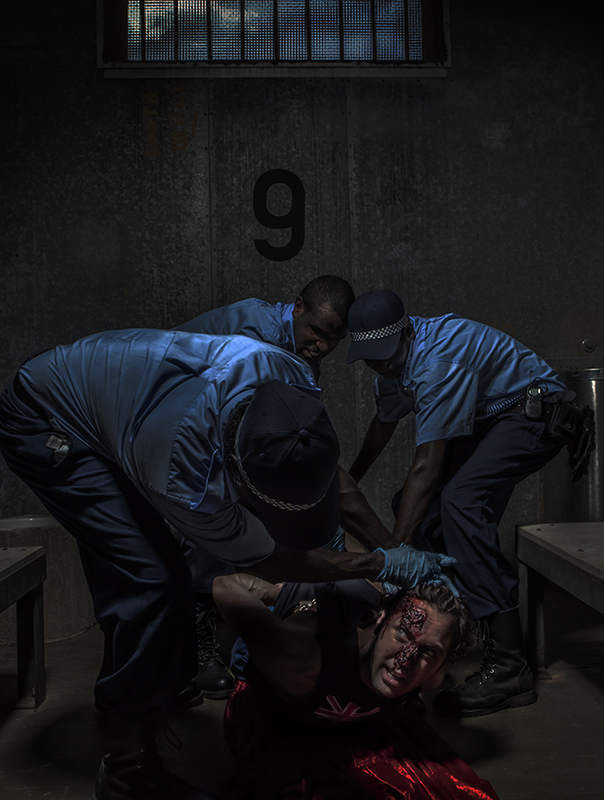 BLOOD RED brings together a body of new, large-scale photographic works completed in Coen, a remote Indigenous community in Cape York, Far North Queensland. Working in consultation with Coen artist Naomi Hobson and traditional owners from the Coen region and in close collaboration with community elders, teachers, police, stockmen and actors, Semu and Hobson negotiated a dialogue with displaced peoples of Coen and beyond. 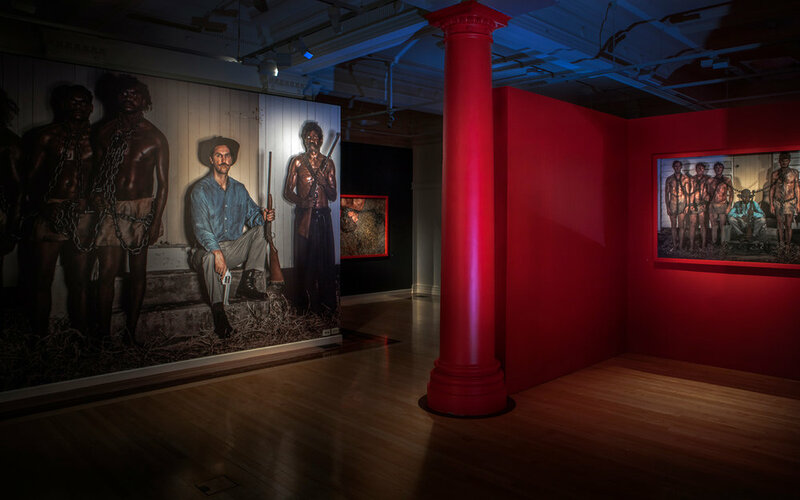 His project renders tangible archival and remembered testimony of their experience as a chorus of silent injustice that challenges colonisers’ accounts of Australian history. Semu has worked like a filmmaker, zeroing in on, re-enacting and upscaling as gigantic photographs the brutal evidence of Coen’s frontier wars for the purpose of remembering the past and acknowledging present injustice and discrimination.